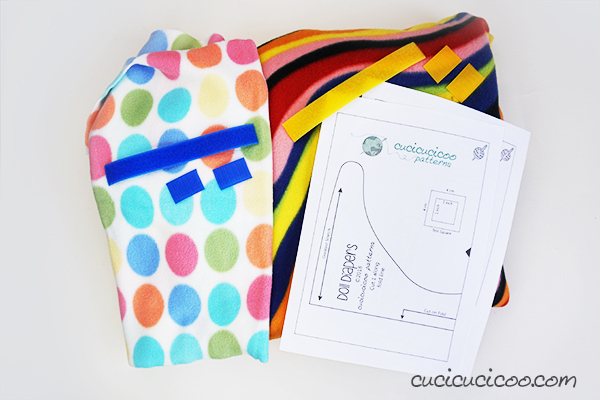 Home Sewing (all) Cucicucicoo Patterns DIY Doll Diapers – Free Pattern + Tutorial! 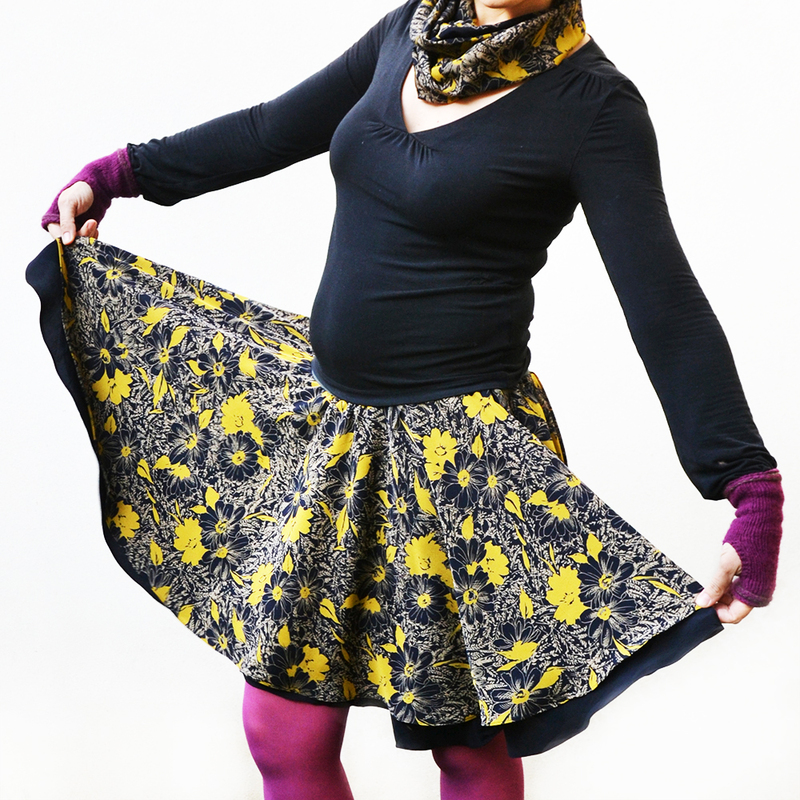 At the time, I used simple solid colors, but then I started branching out into more colorful fabrics, and oh what fun! …or leave it looser for chunkier dollies. 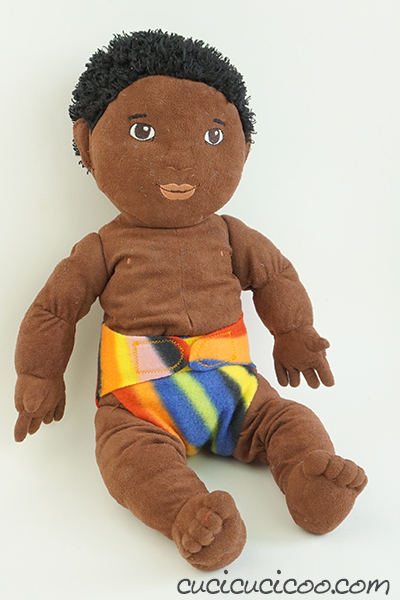 My free pattern will fit most standard sized dolls, so this is perfect to sew up as a gift, when you don’t have a doll to measure. And don’t think that these diapers are only for baby dolls! Ours have been used on pretty much all of my children’s toys! 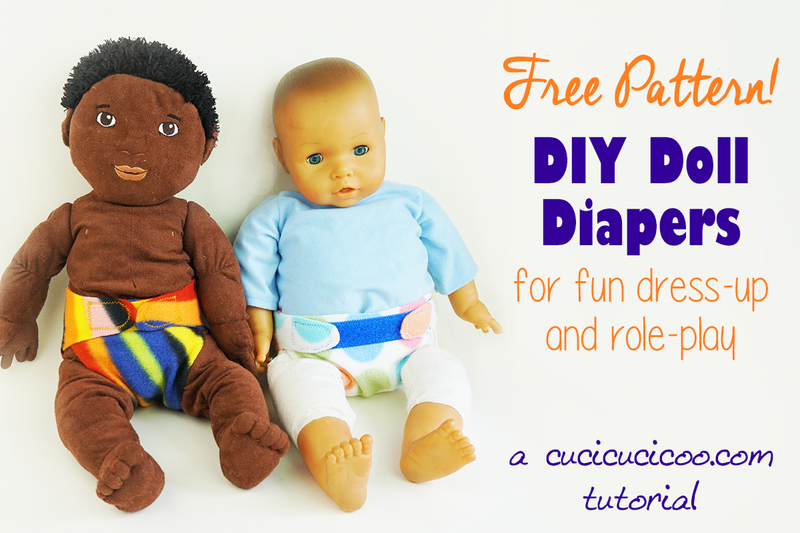 Shall we make some DIY doll diapers? Let’s get started! 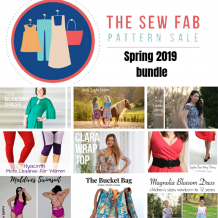 Feel free to use other fabrics, however you will get the best results with fleece, which is stretchy and non-fraying, helping it fit without elastic. I used the same 1″ (2.5 cm) wide touch tape velcro that I used to use for sewing cloth diapers, but feel free to use a different type and/or width. 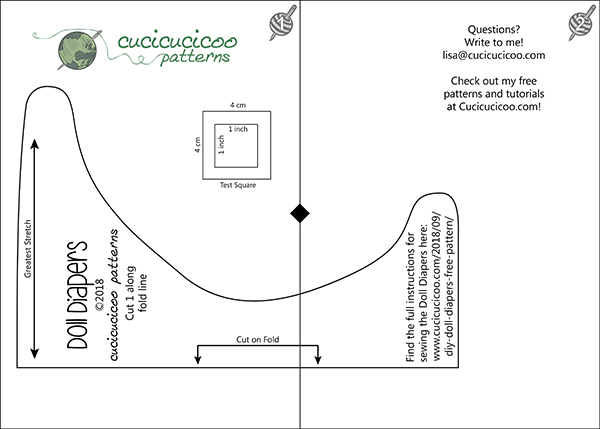 Print the pattern file without changing the scale. (Measure the test square to make sure that it is the right size.) Cut off the right margin of page 1 and tape the pages together so that the lines and black triangles match up as seen above. 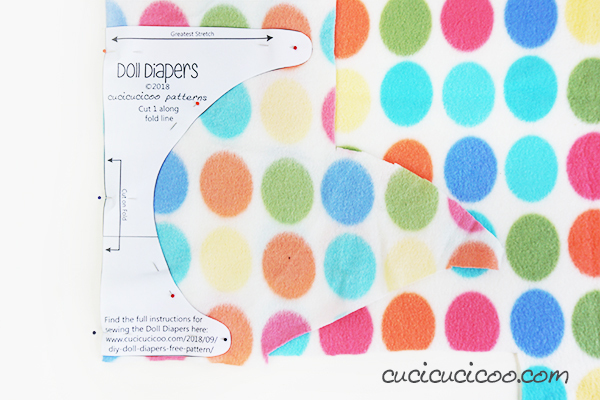 Cut the pattern out along the line, and you’re ready to start creating! 1. 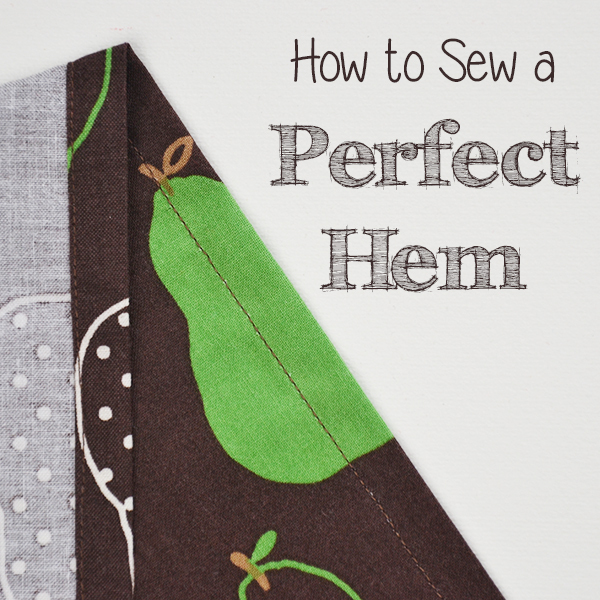 Fold the fleece and pin the pattern on the fold. 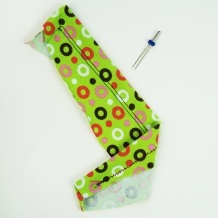 Make sure that the arrow at the top of the pattern goes in the stretchiest direction of the fabric. Cut the fabric around the pattern. 2. 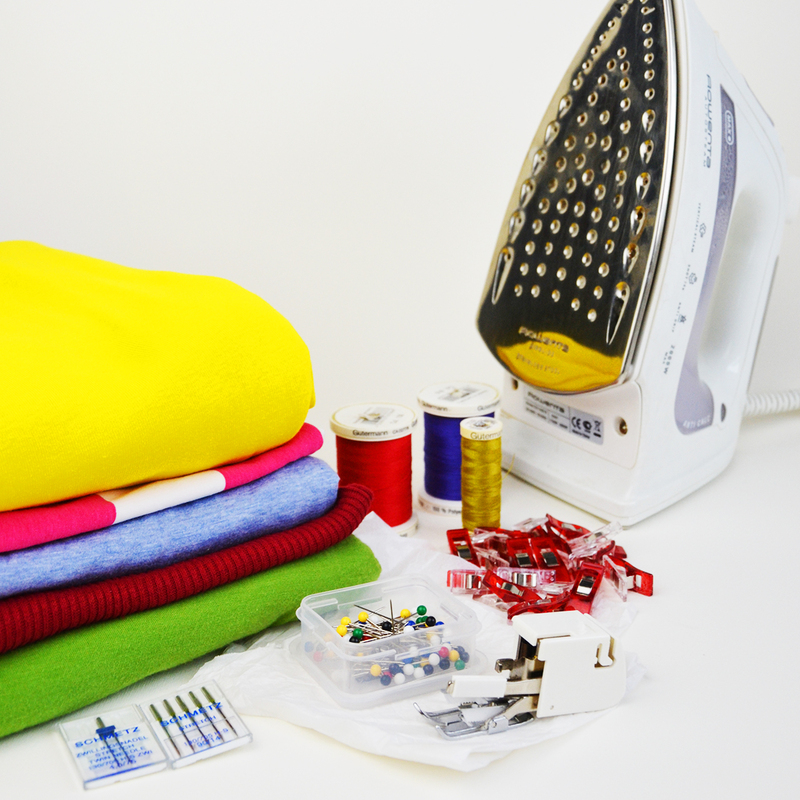 Use regular scissors (not your good fabric shears!) 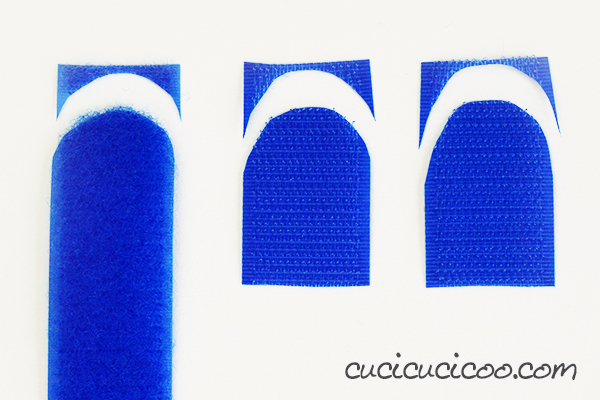 to cut curved ends on both ends of the loop velcro piece, and just one end on the hook velcro pieces. 3. Pin the long loop velcro strip to the right side of the fabric (what will be the diaper outside) along the shorter straight edge. Then pin the two short hook velcro strips to the wrong side of the fabric (what will be the inside of the diaper) at the ends of the longer straight edge, as seen above. 4. 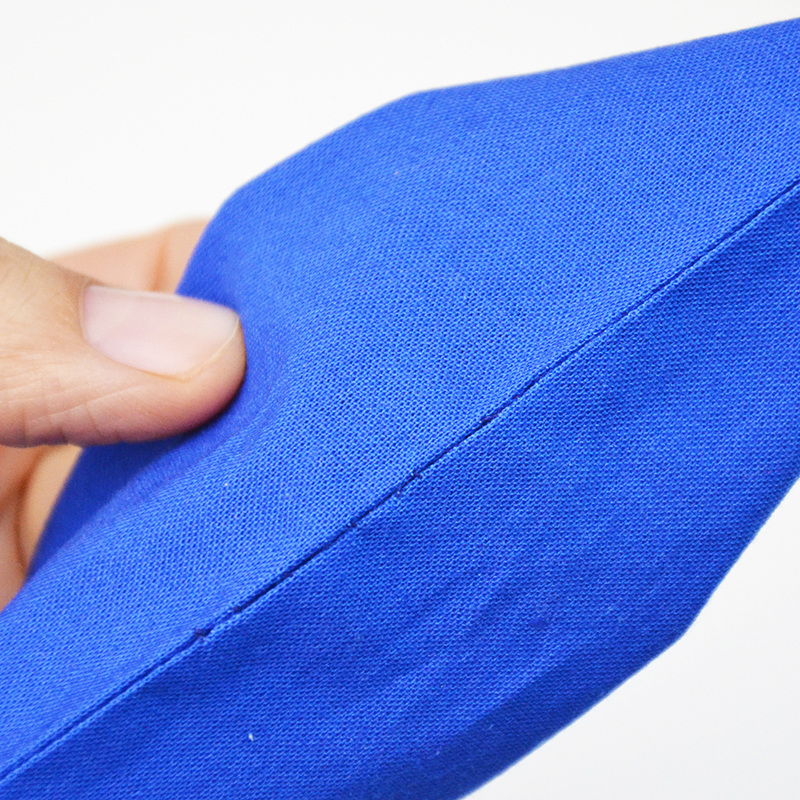 Sew around the edges of the velcro with a zig zag stitch. I used a 3.0 stitch width and 1.5 stitch length. 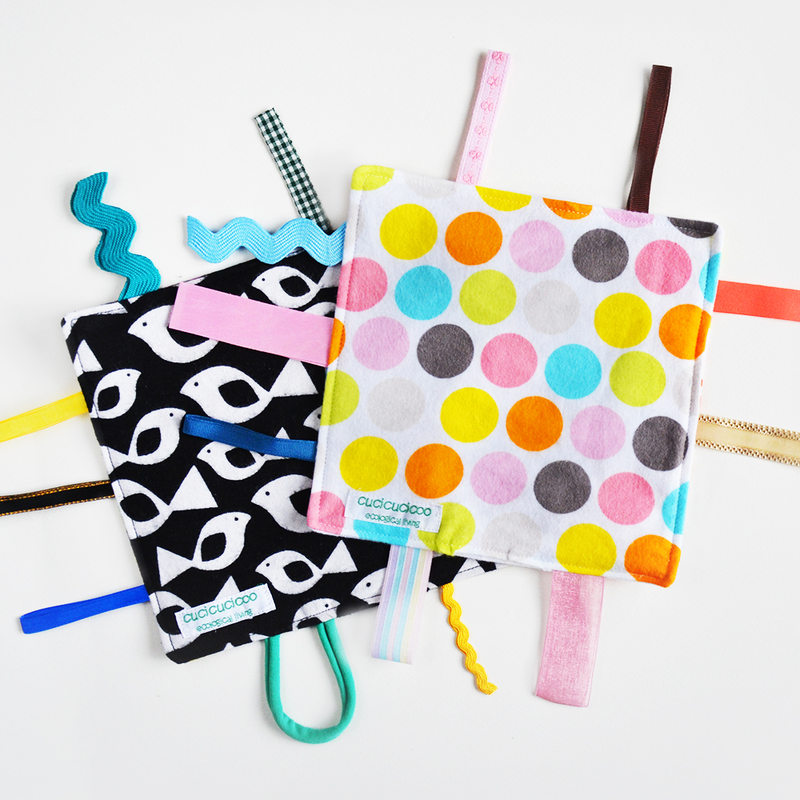 Are you looking for a gift for a younger child, perhaps a newborn? 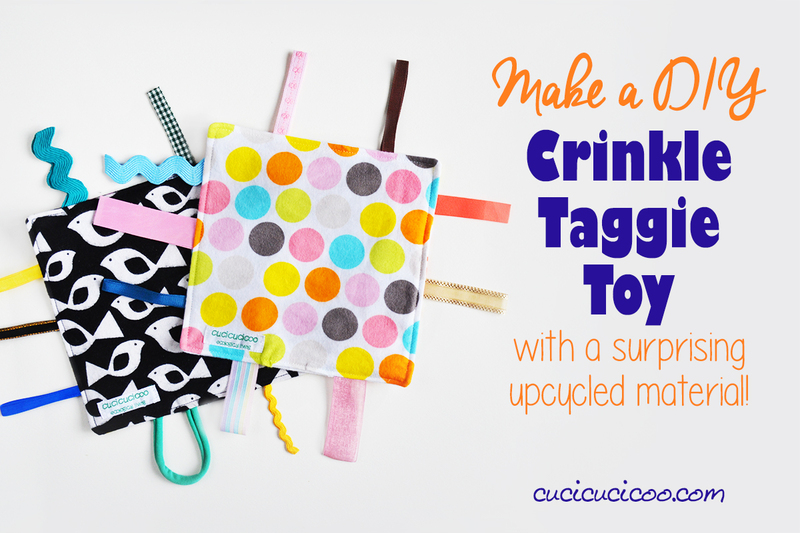 Make one or two sensorial crinkle taggie toys from my easy tutorial! You’ll be surprised to find out what material that you have in your home makes the wonderful crunchy sound! 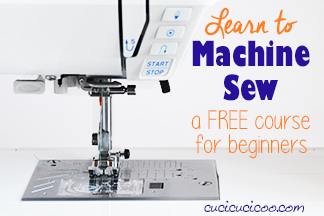 Don’t forget to share and Pin this tutorial here to your favorite Pinterest boards! 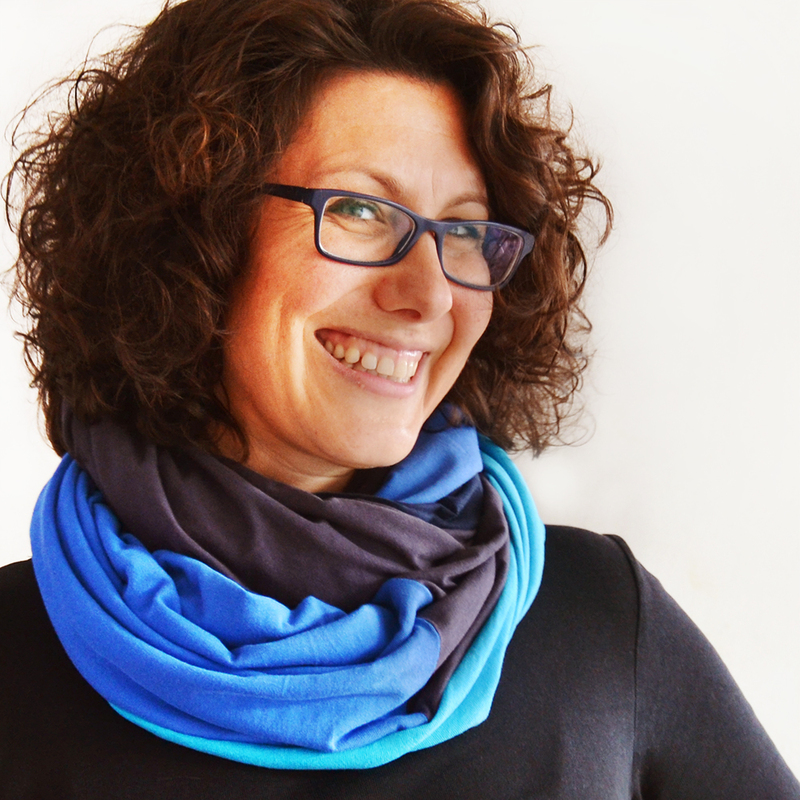 Having hugged many a tree, the major complaint I know is that my clothes were sappy. Now with your help, my clothing choices will no longer be sappy. hahaha, I don’t hang around those complainers anymore. 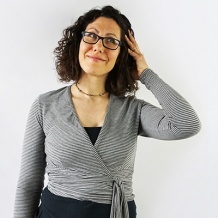 I hope you caught my tongue-in-cheek, for I don’t dare try that again or I might bite it off. Peace to you, and all your projects, and living your adventures. Haha, funny about sappy clothes! Hadn’t heard that one before! I tried to subscribe to your newsletter multiple times today both here and using the form. I have not received any confirmation emails.